Congratulations, Randy Seaver, on the 4 March 2014, Flipboard Magazine blog post, "A Mother's Life, Remembered on Flipboard." 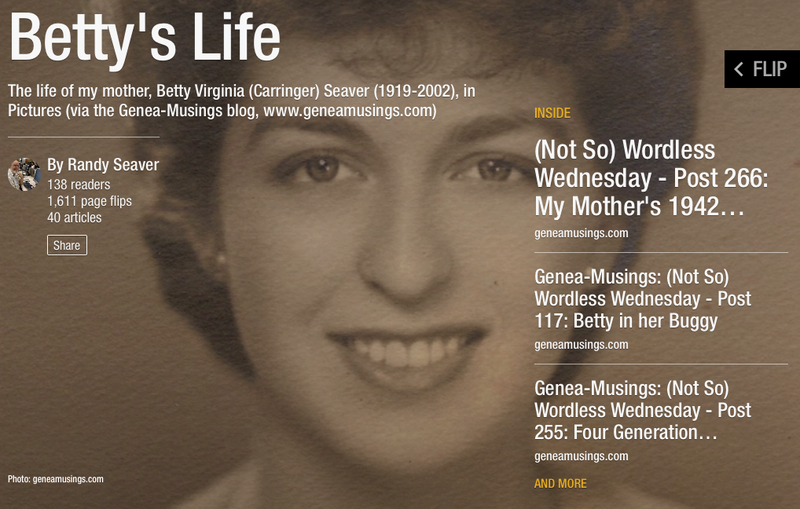 The article author Todd Lappin wrote, "To familiarize himself with magazine-making on Flipboard, genealogy enthusiast Randy Seaver curated photos and articles about his mother into a Flipboard magazine. Then he wrote a blog post about it." The Flipboard Magazine Article can be found here. Randy's Article can be found here.